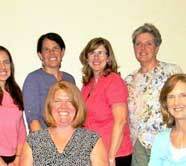 North Shore Physicians Group offers exceptional geriatric care doctors. North Shore Physicians Group (NSPG) offers older patients on Boston’s North Shore specialized services from geriatric care doctors. NSPG is a multi-specialty practice with more than 200 doctors, nurse practitioners and healthcare professionals. A geriatric care specialist with NSPG can diagnose and treat conditions and symptoms in older patients and provide screenings and preventive care. Our geriatric care doctors are board-certified in geriatric medicine and are experts in health care issues affecting the elderly. NSPG is affiliated with North Shore Medical Center, which has been designated by U.S. News and World Report as one of the best hospitals in Massachusetts. In the designation NSMC is cited as a high-performing hospital in geriatric medicine; this recognition is based on clinical quality data including patient survival, safety and volume. Beyond the care provided by our geriatric care doctors, NSPG offers many other specialties to patients of all ages. Immediate care for injuries and illnesses that are not life-threatening is provided at our urgent care center. We offer a number of options for primary care, including internal medicine doctors, family medicine specialists and a concierge medical practice. Concierge medicine physicians limit the number of patients they see in order to provide more time and faster access to care for their patients.